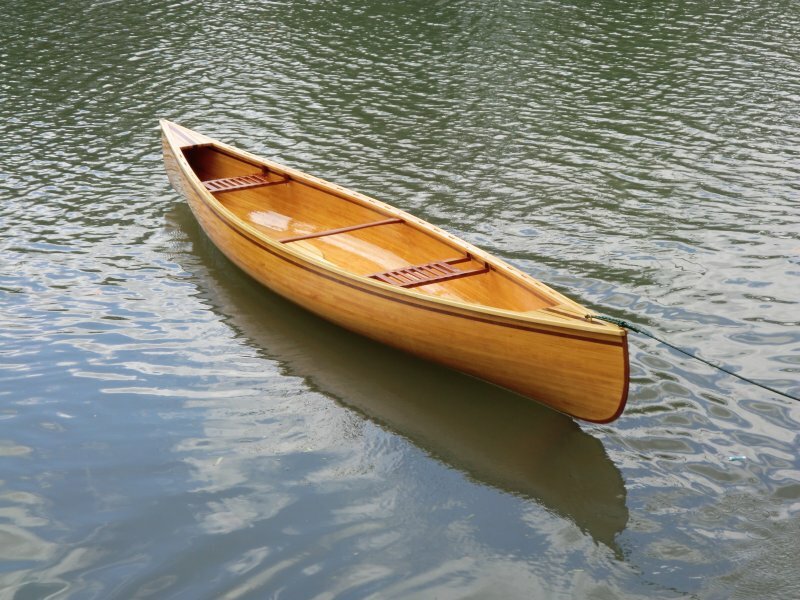 Dean Lasseter built this 16′ wood-strip canoe from plans by Bear Mountain Boats, named WARBLER by his daughter. He reports that the lines were taken by Bill Mason, drawn by Ted Moores, and faired by Steve Killing. 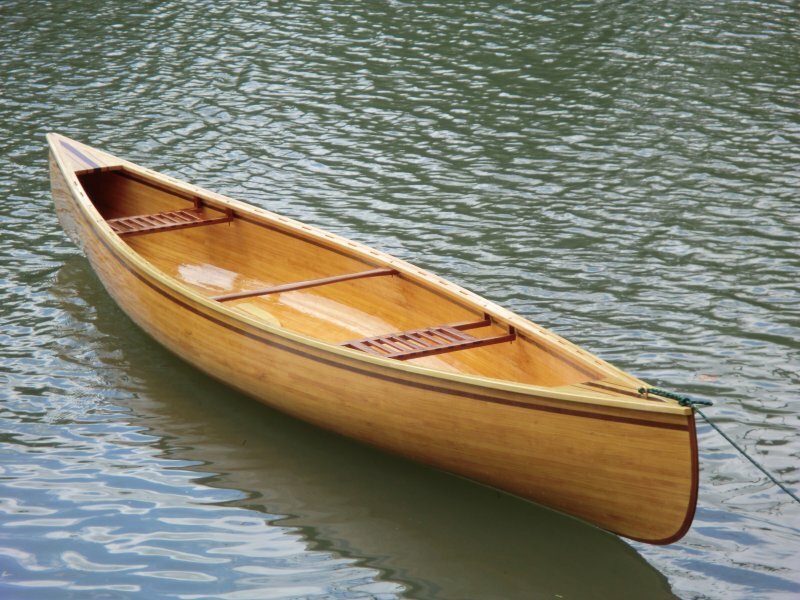 Dean made the hull from pine strips, the seats and thwart from Arkansas cherry, and an accent from walnut. The Lasseter family launched her on August 13, 2011 on Shoal Creek near Joplin, Missouri. They’ll be floating on the rivers and streams of southwest Missouri, and the Buffalo River in Arkansas.